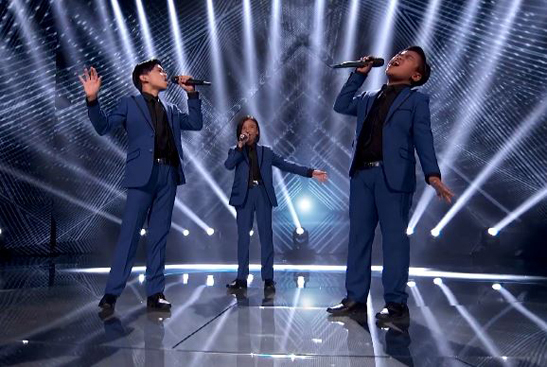 The TNT Boys continues to astonish the world with their talent after they moved on to the next round of the international talent competition The World’s Best, and recently got featured in the world-renowned news organization BBC. The TNT Boys on the 'The World's Best' stage performing a rendition of Beyonce's 'Listen." The trio of Mackie Empuerto, Keifer Sanchez, and Francis Concepcion wowed the The World’s Best American judges Faith Hill, RuPaul, and Drew Barrymore for their hair-raising rendition of the hit song “Listen” in the program’s pilot episode that aired after the Super Bowl on CBS. Their performance scored a staggering 99 points—more than the minimum of 75 points required to get through to the next round of the competition—from the combined scores of the American judges and the “wall of the world,” which is composed of 50 of the world’s most accomplished experts from every field of entertainment. Recently, the trio was also featured on the website of one of the world’s biggest news organizations, BBC, which published a video feature about the TNT Boys’ success and some behind-the-scenes footage from their concert last November, which made them the youngest artists to headline a sold-out concert, not only at the Araneta Coliseum but in the whole country. The TNT Boys is only one of the Filipino artists who broke into the international scene as ABS-CBN continues to champion Filipino talent on the world stage. Before becoming a group, Mackie, Keifer, and Francis first impressed viewers as grand finalists in “Tawag ng Tanghalan Kids” on ABS-CBN. They were officially launched as a trio in 2017, and have since sung for international audiences in Little Big Shots US, UK, and Australia and have performed for several head of states, including Pres. Rodrigo Duterte, Singaporean president Halimah Yacob, and Papua New Guinea prime minister Peter O’ Neill. They were also hailed as the grand champion of Your Face Sounds Familiar Kids.